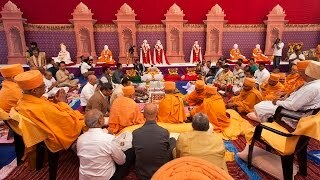 A three-day celebration was held to commemorate the inauguration of the new shikharbaddh BAPS Shri Swaminarayan Mandir in Dhari, the birthplace of Brahmaswarup Yogiji Maharaj (1892-1971) – the fourth spiritual successor of Bhagwan Swaminarayan. On 9 February, a special Women’s Convention was held in the evening. On the morning of 10 February, 2,700 yajmans participated in the grand Yagna for World Peace. 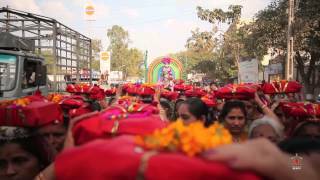 In the afternoon, 15,000 devotees and well wishers took part in the colorful nagar yatra (procession) of the murtis through the streets of Dhari. In the evening, a specially scripted dance-drama, titled 'Yogi Jivan Jharmar', depicting the inspiring life, work and messages of Yogiji Maharaj was presented by BAPS youths from Ahmedabad, Mumbai, Vadodara, Bhavnagar and other centers. 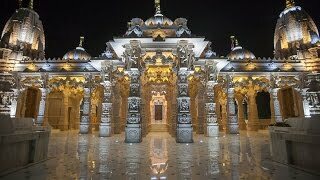 On the morning of 11 February, the murtis, previously sanctified by Pramukh Swami Maharaj on 15 December 2014 in Sarangpur, were installed in the new mandir by Pujya Mahant Swami and other sadguru sadhus. During the three days, a blood donation camp was held in which 48,600cc of blood was collected. As part of these humanitarian activities during the celebrations, 847 people pledged to donate their eyes and 181 people pledged to donate their bodies for medical use.